Check your estimated Income tax for Financial Year 2019-20 based on the interim budget presented by the Finance Minister, Government of India in Lok Sabha on 1st of February 2019. Salary after reducing HRA, LTA, standard deduction professional tax. Interest received on fixed deposits, savings account and other interests. Interest paid on housing loan for self occupied property. Annual rent received on let out property. Interest paid on housing loan for the rented / let-out property. LIC premium, tution fees, PPF, ELSS mutual funds, etc. Interest received on savings account. Medical insurance premium and preventive health check up fee paid for self, spouse, parent and dependent children. Interest paid on education loan. Here’s the insight of what interim budget 2019-20 has in store for you. Individual taxpayers having Income up to Rs 5 lakh will be exempted from tax payment. Finance bill 2019 has increased the deduction to Rs.12,500 for assessee having total income up to Rs.5,00,000. Standard Deduction on salary has been increased to Rs.50,000. No tax on notional rent on 2nd self-occupied house property. TDS on Rent threshold increased from Rs.1,80,000 to Rs.2,40,000. TDS deduction threshold increased on interest from bank/post office deposits or savings account from Rs.10,000 to Rs.40,000. The benefit of investment in residential house property for claiming exemption u/s 54 has been increased to two house properties. 1. How much Income Tax do I need to pay on my Income? 2. Examples of Income Tax Calculation. 3. Who is mandatorily required to file Income Tax return? 4. How to Pay Income Tax? 5. How to determine your residential status? 6. Is excess tax paid refundable on filing Income tax return? 7. What are the Fines/Penalties if return filed after due date? 8. What are the consequences of filing income tax return after due date? 9. How can I reduce income tax? 10. What is TDS? How it is calculated on Salary? How much Income Tax you need to pay on your income totally depends on the tax slab applicable to you as per your income. Go through the tax slab below for the slab rate you come under. 4% Health & Education Cess is charged on Income Tax and Surcharge. Surcharge is applicable @ 10% on income tax if your Total Income exceeds Rs 50,00,000. Surcharge is applicable @ 15% on income tax if your Total Income exceeds Rs 1,00,00,000. Surcharge 12% of the Income Tax, in case taxable income exceeds Rs 1 crore. Health & Education Cess 4% of (Income Tax + Surcharge). Note :If Turnover does not exceed 250 crore in FY 2016-17 then applicable tax rate for FY 2018-19 will be 25%. Surcharge 7% of the Income Tax, in case taxable income exceeds Rs 1 crore but not exceeding 10 crore. 12% of the Income Tax, in case taxable income exceeds Rs 10 crore. Income tax return (ITR) is a statement that reflects the income earned by you from different sources, tax liabilities on your total income, the tax that has already been paid, balance tax payable or the refunds (in case any) receivable from the department. Filing of the income tax provides proof for your income as legal and disclosed. It helps you in many ways such as getting refunds, building capital, getting loan, applying for tenders etc. If you are less than 60 years of age and your total income exceeds Rs. 2,50,000. If you are 60 years or above and below 80 years of age, and your total income exceeds Rs 3,00,000. If you are a super senior citizen i.e. 80 years or above and your total annual gross income exceeds Rs 5,00,000. 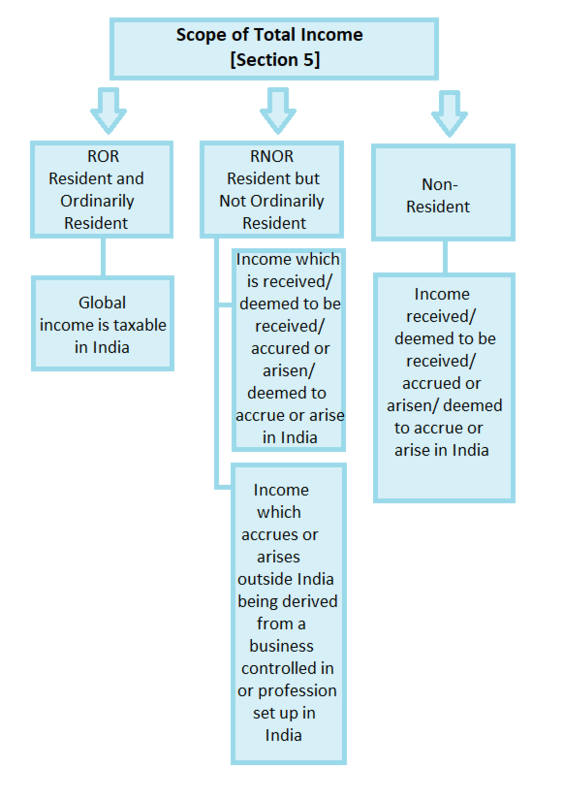 If you are a Non-Resident but your total income earned or accrued in India exceeds Rs 2,50,000. If you are a company or a firm, then you have to file a return irrespective of fact whether you have earned profit or loss during financial year. Note : If an assessee do not falls in any of above criteria but wants to file return of income he or she can voluntarily file return of income. After filling all details you will be directed to net banking site of your bank. Login to your net banking portal and enter payment details at bank site. On successful payment a challan counterfoil will be displayed containing CIN, payment details and bank name.This challan is the proof of payment. Visit Here and take print out of the form. Submit the challan along with cash or cheque at any bank branch that receives income tax payment. Residential Status of an individual is governed by section 6 of income tax act.Residential status of an individual must be ascertained with reference to each previous year.An individual resident in one year may or may not be resident in another year. An individual is said to be resident in india if he satisfies any one of the following condition. He has been in india for a period of at least 60 days in previous year and for a total period or periods in aggregate of 365 days or more during four years immediately preceding the previous year. If both the conditions mentioned above are not satisfied then individual will be considered as non resident. An individual will be considered as resident and ordinarily resident if he satisfies both the following conditions. He is a resident in any of 2 out of 10 years immediately preceding the previous year. His total stay in india in the last 7 years immediately preceding the previous year is 730 days or more. 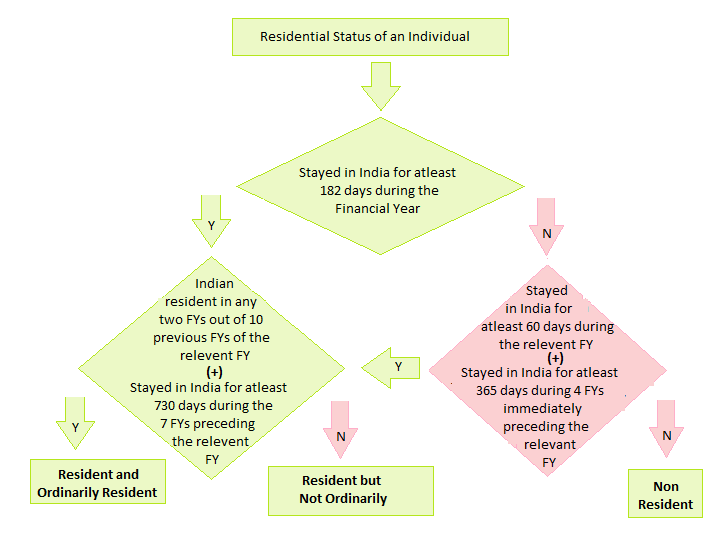 Scope of Total Income on basis of residential status. Yes if you have paid excess tax on your income or your TDS has been excessively deducted from your income then you can claim the refund of such excessively paid tax or deducted tax by filing a income tax return. From AY 2018-19 an assessee can file income tax return only till the end of relevant assessment year.Earlier it was allowed to file return of income upto one year from end of relevant assessment year. 31st July : If your accounts are not required to be audited under section 44AB. 30th september : If your accounts are required to be audited under section 44AB. Interest u/s 234A : If you file income tax return after due date you have to pay interest @ 1% for every month or part thereof for the period commencing from due date to date of actual filing of return. Rs 5000 if the return is furnished on or before the 31st day of December of the assessment year. For individuals having total income less than Rs 5,00,000, maximum penalty that can be levied under his section is Rs 1,000. Note : If gross total income (i.e income before ch VI A deductions) are less than 2.50 lakhs then no penalty will be levied under section 234 F for late filing of return. Every individual wants to pay minimum tax but escaping tax without disclosing income is neither legal nor ethical.Here we are providing you some legal ways to reduce your tax liability to minimum. Tuition fees : An individual often spends a considerable amount of money to provide best education to kids. You can claim the deduction u/s 80C of I-T Act for the amount paid by you as tuition fee. Deduction on rent paid : If You are not receiving HRA from your employer you are eligible for deduc; tion for rent paid by you u/s 80GG of income tax act subject to maximum limit of Rs 60000. Repayment of home loan:If you are paying home loans installment then you are eligible for deduction for interest as well as principal amount paid in installments Interest part of installment is deductible under section 24b of income tax act.Principal part of installment are subject to deduction u/s 80C of income tax act. Contribution to NPS :An individual is allowed a deduction u/s 80CCD(1B) for whole of the amount paid or deposited in the previous year in his NPS account subject to maximum ceiling of Rs 50000. Investments in different schemes eligible for deductions in Income Tax. Normally an individual is required to pay income tax in assessment year for income earned in previous year but on certain sources law requires payer to deduct tax at source while making payment.TDS or Tax deducted at source is income tax deducted from the payments of specified nature such as salary, rent, commission etc. It is in nature of advance tax and assessee can claim credit for same at time of filing his Income Tax Return. TDS on salary is calculated on the amount payable at the average rate of income-tax computed on the basis of the rates in force for the financial year in which the payment is made. Calculate Income tax. This is the easiest and the most accurate way to calculate your Income tax payable. You can also file your Income tax return online or using your mobile phone with ease. Subscribe to our newsletter Keep up on our always evolving product features and technology. Enter your e-mail and subscribe to our newsletter. Unsubscribing from newsletters may result in missing of important mails from us. Are you sure you want to unsubscribe from the newsletters of myITreturn? Copyright © 2016 Skorydov Systems Private Limited. All rights reserved.